Update (1/20/2012): SOPA and PIPA have been indefinitely postponed; see statements by Sen. Harry Reid and Rep. Lamar Smith. This reported campaign contributions information comes from the OpenSecrets/Center for Responsive Politics API (read more about their campaign-contributions-per-industry API). 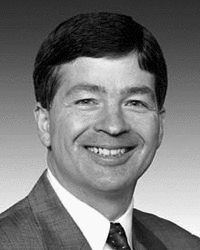 You can also visit the OpenSecrets profile for Rep. Hensarling. No events related to Rep. Hensarling relating to SOPA have yet been recorded for Rep. Hensarling. Contact us at sopa[at]propublica.org if you have additions or corrections. © Copyright 2012 Pro Publica Inc.